As a booking agent for Tinie Tempah we can arrange for Tinie Tempah to put on a great show for your guests. 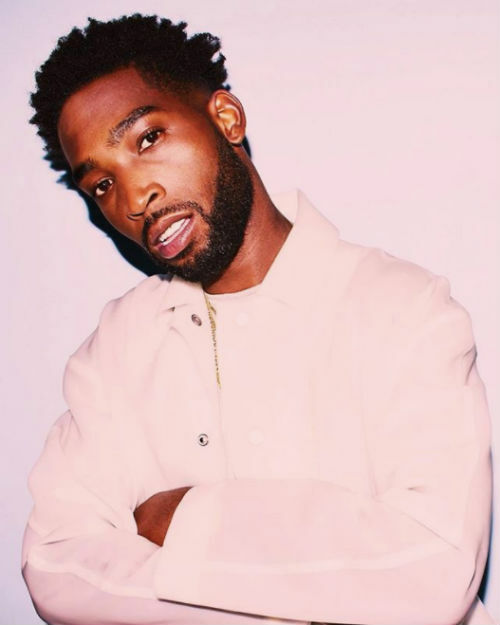 Tinie Tempah is British rapper, singer and songwriter who has received many prestigious awards including 2 Brit Awards & 4 MOBO Awards. For Tinie Tempah, rhymes like “With BRITs and Ivor Novellos, I left a space for a Grammy / If it ain’t Adele out in London, I’m with Pharrell in Miami…” do not sound like wishful thinking. He really is living the dream. No one, least of all Tinie, could have predicted the scale of success created by his No.1 debut album, Disc-Overy. 1.2 million copies of Disc-Overy sold worldwide till now, 4 million single sales, 12 major awards (including two BRITS, three MOBOs, one Ivor Novello and a BET), 2 No.1 singles (Pass Out, Written In The Stars) and 2 Top 5’s (Miami 2 Ibiza, Frisky). 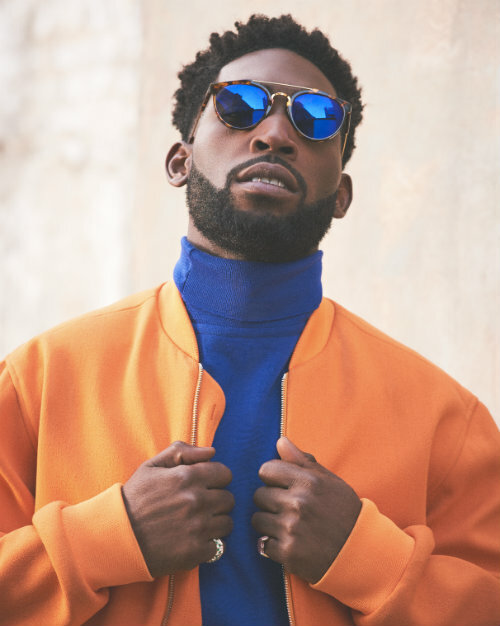 Tinie is also the first British rapper to sell over 1 million singles in the US after Written In The Stars went to No.12 in the Billboard charts. The single was also chosen as the official theme for Wrestlemania XXVII. 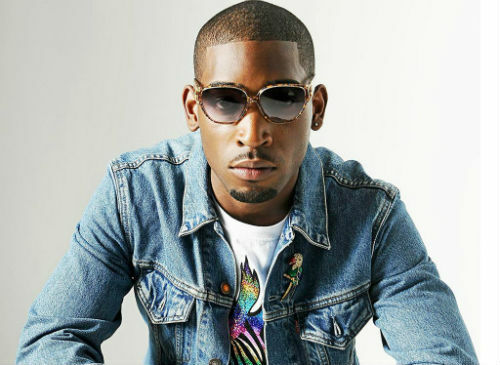 Having supported big names like Rihanna, Coldplay, Jay-Z and Chase & Status, Tinie announced a headline Arena tour in 2011, culminating in sold-out shows at London’s O2 and Wembley Arena. Tinie Tempah was the first British rapper to feature on the cover of The Times newspaper and has since , won the prestigious GQ Best Dressed Man of the Year (he’s often snapped on the Front Row of fashion shows) and has featured in publications including the NME, The Observer, the Sunday Times, The Guardian, GQ and Q Magazine. The Sun’s Bizarre section crowned him ‘Lord of the Year at the end of 2010 too. Leaving the print media behind , on screen, he has been on every major talk show from Graham Norton to Jonathan Ross, has hosted an episode of Never Mind The Buzzcocks as well as performed on Jools Holland and the US X-Factor. 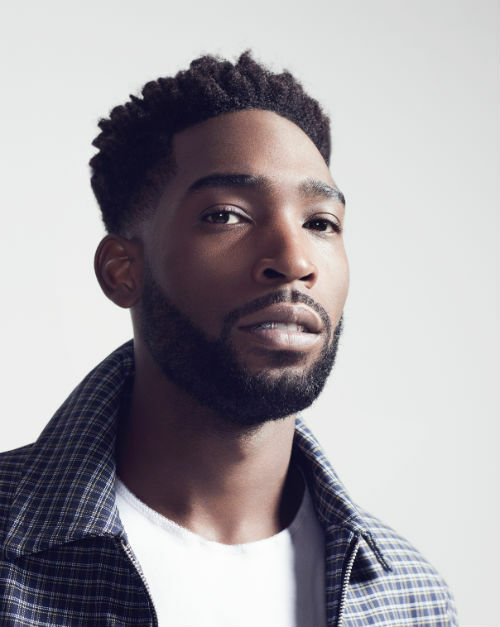 Online stats of Tinie Tempah also are incredibly impressive, with over 100million YouTube/ Vevo views, 1.3 million Twitter followers and 2.4 million Facebook Likes to date. A festival favourite, Tinie joined Snoop Dogg on the Pyramid Stage at Glastonbury in 2010, and has since played every major national and international festival from SXSW to Coachella, Ibiza Rocks, Australia’s Big Day Out and Radio 1’s Big Weekender, where he found a new fan in the form of Prince William. 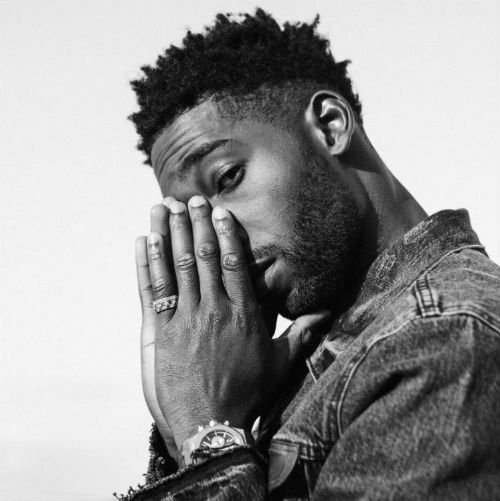 Tinie Tempah, during the last couple of years, has collaborated with artists such as Wiz Khalifa, Soulja Boy, Wretch 32, Emeli Sandé, Ellie Goulding, Swedish House Mafia, Kelly Rowland, J. Cole, and, of course, Labrinth, whose single Earthquake, Ft. Tinie, recently went to No.1, making it Tinie’s third chart-topper. His free-to-download Happy Birthday EP, which was released just before Christmas, racked up hundreds of thousands of downloads in just a few hours. Apart from music also Tinie’s brand continues to spiral skywards. High-profile, carefully chosen endorsements with big brands like Lucozade and Blackberry have established his commercial appeal. While Tinie recently announced the inception of his own fashion line, Disturbing London (in conjunction with Maharishi), named after his label, Disturbing London Records, which includes rapper G-FrSH and production outfit All About She (Devlin, Scorcher, Tinie). In November 2011, Tinie released his first book, My Story So Far, on Ebury Press. His global reach is what makes Tinie’s success even more spectacular ; a first for a British rapper, Tinie’s name is known throughout the world, with fans from New Zealand, South Africa, Japan and, crucially, America. US X-Factor, David Letterman and Jay Leno have all booked the boy from Plumstead, while US rappers have showered praise on his lyrical skills and fans have snapped up his singles. 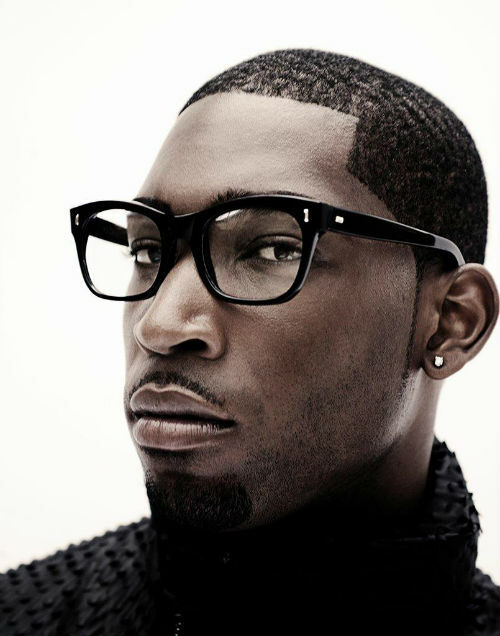 From national to international waters, Tinie Tempah has become one of the UK’s most successful musical exports. Tinie’s second album, due later this year, is currently in progress. Muted collaborations include famous artists Adele and Gary Barlow, and Tinie recently confirmed he has also been working with Pharrell Williams, Usher and The Script. Inspite of all the sales and success, the accolades and adoration, Tinie remains one of the most likeable pop stars you might wish to meet. Part of his success could be put down to his intelligent, witty, down to earth manner that has won him fans from Damon Albarn to Snoop Dogg, Jay-Z to Chris Martin. Contraband is the UK’s top booking agent, with friendly, qualified account managers who guarantee you the best deal possible. 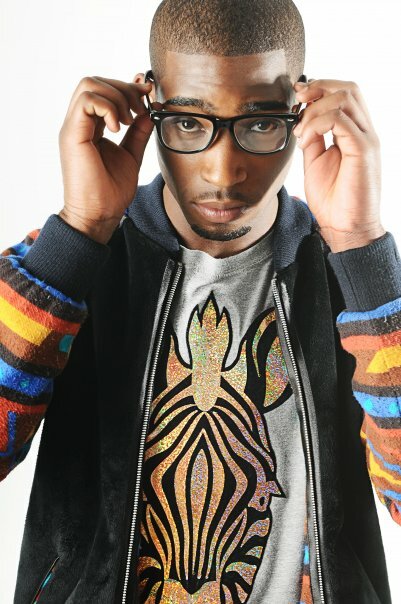 Contact us today if you would like to book Tinie Tempah to be the headline of your event! We as your booking agent are more than happy to help you create the most memorable moments with Tinie Tempah.